Preston Manning, then the godfather of the Canadian right, at the 2013 Manning Conference (Photo: David J. Climenhaga). “Putting a price on carbon” was always going to be unpopular with people who use fossil fuels out of necessity and for fun – viz., a large portion of the population in a well-off northern country that, climate change notwithstanding, still gets pretty cold in the winter. In other words, Canadians, with their furnaces, SUVs and snowmobiles. Right-wing godfather Doug Ford and his Alberta consigliore, Jason Kenney, at their anti-carbon-tax rally in Calgary on Friday (Photo: @FordNation). After 40 years of neoliberal conditioning to the idea all taxes are bad, used as a justification and strategy for dismantling public services and transferring wealth to the wealthiest fraction of society, imposition of a new tax was guaranteed to be controversial. Even a mere blogger could have told you that … and I’m pretty sure I did. As we all understand, the market fundamentalist right loves “market solutions” with the same fervour it despises taxes that impact wealthy people. Was the need to create green capitalism a sincere conviction by Mr. Manning, or just a cynical ploy to exploit the zeitgeist of the early Twenty-teens? Hard to say. I’m inclined to think he was sincere … as long as it remained convenient. So, while progressive parties got there first, in the early Teens there appeared to be a real consensus – at least an elite consensus – that there was support for carbon taxes as a mechanism to save the environment from the worst impacts of a market economy. I suppose centrist and progressive parties can thus be forgiven for imagining such a plan could be put into practice without a strong negative public reaction. Alas, this did not account for the willingness of people to view an idea positively in theory but oppose it when it might actually cost them money. And it certainly didn’t account for the deep cynicism of the North American right. Far-right demagogues like Ontario Premier Doug Ford and Alberta Opposition Leader Jason Kenney who rallied in Calgary Friday night with their supporters to assail “the worst tax ever, anywhere,” must be chuckling behind their fists. Of course, the right itself has changed since 2013. It is more overt in its greed, cynicism, destructiveness and crypto-fascism in the Age of Trump. We can’t really be sure whether Messrs. Ford and Kenney’s opposition to carbon taxes is cynically convenient or sincere. We can be certain, too, that Mr. Manning is no longer the godfather of the Canadian right. Today, that title rightfully belongs to Mr. Ford, with Mr. Kenney as his regional consigliore in the West. Expect, therefore, increasing numbers of Canadians, not just coastal environmentalists, to grow skeptical of soft market solutions and harden their demands for no more pipelines, ever. Period. Don’t even be surprised if there is a popular outcry to halt to all oilsands extraction. Such a viewpoint is unlikely to ever be popular in Alberta, but then we don’t have a coastline of our own, do we? Every dollar invested in fossil fuel development is a dollar spent on causing the extinction of our lifestyle and perhaps our species. LNG, Dilbit, conventional fuels .. all are part of a ticket to oblivion. Are right-wing climate change deniers entirely to blame for public resistance to carbon taxes? “Progressive” greenwash and fraudulent climate policies only breed cynicism. When it comes to oilsands expansion, Trudeau, Notley, and Kenney are on the same page. At least Kenney’s denialism is out in the open. What you see is what you get. Trudeau and Notley are peddling an insidious, and far more dangerous, form of denialism. Acknowledge the science, but ignore its implications. Boast about climate leadership, but push oilsands expansion and pipelines. Sign int’l agreements, but fail to live up to them. No mainstream climate scientist supports the oilsands expansion and new pipelines agenda. Notley’s climate change plan received the blessing of five major oilsands CEOs. What does that tell you? Notley and Trudeau are betting that the world will fail to take real action on climate change. The only scenario in which oilsands expansion makes sense. 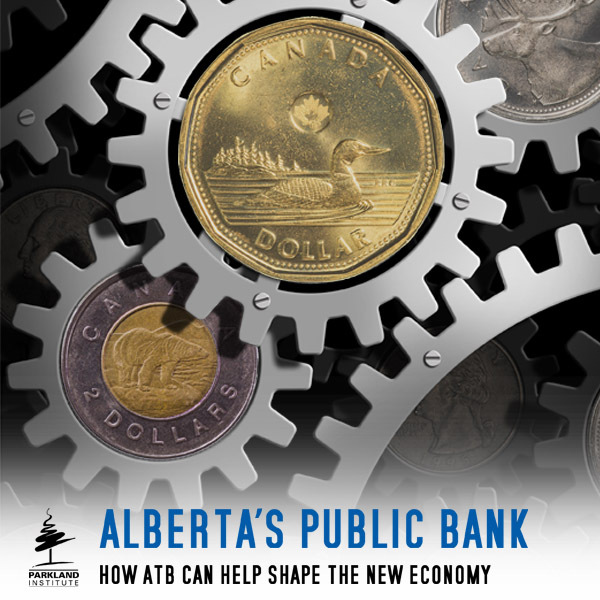 AB’s tiny carbon tax was a fig leaf — a cynical quid pro quo in exchange for new pipelines. Hopelessly contradictory. Notley undermined NDP credibility on climate by hinging her support for a federal carbon tax in exchange for pipelines. Notley then pulled her support for a national “floor price” on carbon after the Federal Court ruling on TMX. The AB Govt recently announced more than $2.3 billion in subsidies to AB’s oil & gas industry to cut methane emissions. Including an industry exemption from carbon levy costs for the next 5 years. What ever happened to “polluter pay”? As confirmed by one study after another using actual measurements, AB’s oil & gas emissions are grossly under-reported. A govt serious about getting emissions under control would start by measuring and reporting emissions accurately. Canadian’s for clean prosperity propose taking all the carbon tax revenue from both industry and consumers and putting it in one pot and then rebating it back to consumers on a per capita basis. Due to the fact the revenue from industry is added the majority of consumers would receive more of a rebate then they spend in carbon taxes. Their study did not take into account how much what we pay for goods and services would rise as industry downloaded their increased costs. My question for you Geoffrey, is why would a consumer change his or her habits if the tax ends up making you money? I would certainly agree with you that a $200 carbon tax is necessary to change consumption habits. That is one reason most people object to the imposition of a carbon tax, they know it will continue to escalate. With a carbon tax of $200 per tonne, the tax on a gigajoule of natural gas would be $10, heating a home would become very expensive. How would this tax affect the price of electricity generated from natural gas? If Alberta shut down the oilsands do you really believe it would reduce world wide oil production and consumption? Countries like China and India are both projected to increase their consumption of oil in the coming years. The only realistic way to decrease C02 in the atmosphere is to find a way to capture the C02 when it is emitted and then turn it into a useful saleable product. Enjoy your day. The dumb thing about the carbon tax is that its been implemented all wrong: carbon taxes – as envisioned by the economist who first formulated the idea – are supposed to replace other, less efficient taxes and be effectively revenue neutral over the long term. We’re not supposed to get rebates, we’re supposed to get tax cuts in other areas, especially in income taxes. Yet I still have incentive to use and waste less energy, because the less I spend on energy and carbon taxes, the more $$$ left in my pocket. Note that AB’s carbon tax does not apply directly to electricity. Why should we not pay the full costs of the energy we use? The environmental, health, and economic costs of energy are real costs. Someone has to pay. Who should pay if not the consumer and beneficiary? Downloading these costs to the public purse, the environment, and future generations is immoral. Voodoo economics. How could global energy transformation take place without pricing energy properly? Put the real, true, full price on emissions, pollution, habitat destruction, etc. The flow of capital will shift rapidly. Energy markets will be transformed. Fail to put the full price on emissions, and the problem will never be solved. Higher heating costs encourage houseowners to use and waste less energy. Insulate their houses. Use programmable thermostats. Use energy-efficient windows. Install a more efficient furnace. Take advantage of passive heating methods. Turn the lights off when not in use. Close drapes in summer and open them in winter. Don’t buy more house than you need. Etc. Collective problems require collective solutions. The global emissions problem cannot be solved EXCEPT by collective action. Everybody except the bottom billion needs to reduce emissions — especially big consumers and high emitters in affluent nations like Canada. A portfolio of supply-side and demand-side policies is effective in other policy areas. No reason not to use both arms of the scissors. Today Geoffrey Western Canada Select was trading at $25.29 USD, Western Texas Intermediate was trading at $75.01 USD, a difference of almost $50 a barrel! Why is the differential so high? Because our pipelines are full to capacity and even with all the oil now being hauled on trains there is not enough capacity. The latest rise in the world price of oil(due to demand by the way) has not helped the profitability of western Canada’s oil sector but has certainly enriched our American friends as they get very cheap oil from western Canada to refine and export. All that environmentalists have done is lower the Alberta government’s revenue and increase the size of our deficit. And you never did answer the question, if Alberta shut down the oilsands would it reduce the world’s demand for and use of oil? The answer of course is that the demand for oil is increasing otherwise the price would be decreasing! Enjoy your day. Your analysis of the discount on AB heavy sour crude is incomplete. Once Enbridge Line 3 and Keystone XL start up, the discount due to quality and transportation costs should revert to the historical average. Ian MacGregor (president of North West Refining) admits that bitumen is sold at a discount because it’s “the worst feedstock”. Brian, rebating back to the consumer is what I assume Jason Kenney will do if he is elected and Justin Trudeau is reelected after, of course, fiscally responsible Kenney blows a few mil on a losing court case just to pander to his base. Since the rebate is per capita, I will get just as big a rebate cheque while I pay minimal carbon tax as the guy with the hopped up 4 x 4. The incentive to reduce is unaffected by the rebate. I wonder what a radio commentator will say about Jason Kennney mailing out rebate cheques while running a deficit. Bob, I will put it another way, what is the point of collecting a tax and then giving it back? In the Alberta NDP’s case it was a form of income re-distribution because the higher income brackets recieved no rebate. I still think it is ridiculous to create a beauracracy just to cycle money in a circle just so everybody can feel like they are doing something. As for Justin Trudeau, I look forward to him imposing a national carbon tax, I believe if he runs the next election on the carbon tax he will lose. Provincial voters across Canada are showing their dislike of the carbon tax, somehow Trudeau hasn’t caught on yet. Enjoy your day. The premise of a carbon tax is to change behaviour. In this case it would be financially advantageous for businesses to adopt practices to curb the burning of fossil fuels as it would save them money and likely earn them mind-share among the public. It is not to collect money for the government per se. Brian, if it were a case where everybody paid $200 in carbon tax, then got a $200 rebate, I would agree wholeheartedly, but since everyone would get the same rebate while paying different amounts, based on their consumption, the scenario does still maintain the incentive to reduce emissions. As an environmentalist I think that is a good thing. That said, the scenario I painted above is what I expect (hope?) a UCP government would do if faced with the problem of wanting to undo a carbon tax federal legislation won’t let them undo. Another alternative would be to have people submit receipts to apply for their carbon tax refund, which would be an absolutely brutal bit of bureaucracy. If a UPC government did decide to follow the per capita carbon tax refund, I would be curious to see how they did it. Putting a carbon tax credit line of the provincial income tax form would be almost free, whereas mailing a cheque at roughly $1 for postage etc would cost about four million dollars. I wonder which route our friend would go? Finally, as a sort-of fiscal conservative, I really don’t see any wisdom in rebating the carbon tax given the state of our finances, as I implied in my last line. Jason Kenney keeps promising spending cuts but won’t tell us where. The Canadian Tax Payers Federation’s suggestion is to stop all capital projects. The shortsightedness of this is mind boggling! 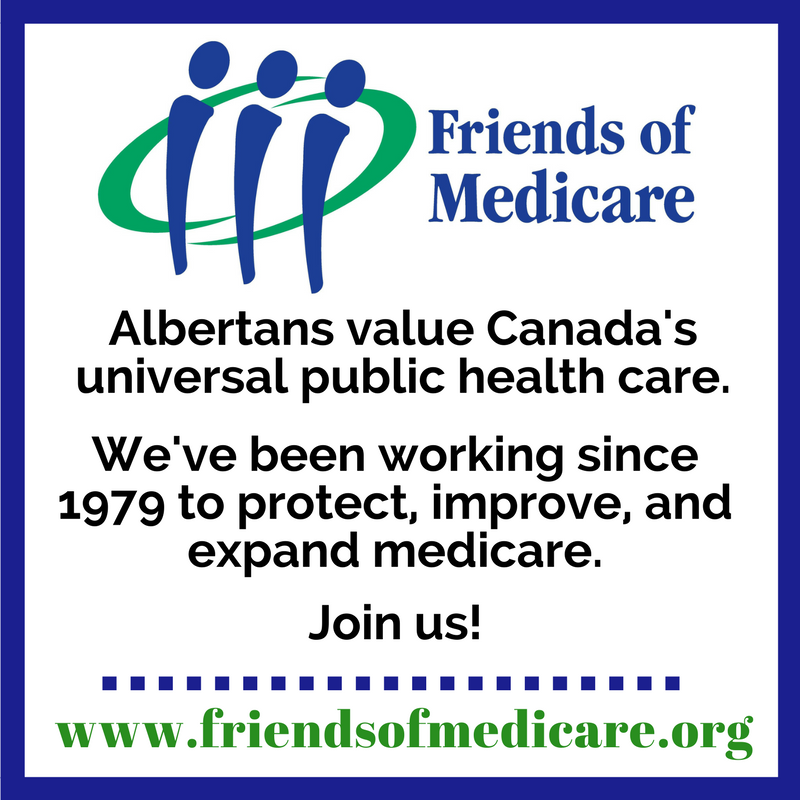 Our healthcare system has grossly inadequate number of long term care spots already. It is so routine for a senior citizen to spend time in an active hospital bed waiting for a long term care bed that the medical community has a name for them: bed blockers. In 13 years the first of the baby boomers will turn 85, which I would guess is approximately the age when some will need long term care, and demand will skyrocket after that. The 2040’s era radio commentator will be exactly right when he complains about how baby boomers gave ourselves the lowest taxes in the country, even when oil revenue dried up, then expect the generation that follows to build them long term care facilities. Tiny carbon taxes, coal phase-out, fraudulent emissions caps, and “free” LED bulbs are smoke and mirrors, as long as AB prevents Canada from meeting (Harper’s) inadequate targets. The UN, the Organization for Economic Co-operation and Development (OECD), and the federal Environment Commissioner all issued warnings in 2017 that Canada is NOT on track to meet its targets. The main obstacle? Rising oilsands emissions. Doubling down on fossil fuel production in the face of climate change is insane. AB’s drive for fossil fuel growth is irrevocable. Oilsands infrastructure, including pipelines, takes decades to recoup its costs. There is no redemption. No going back. 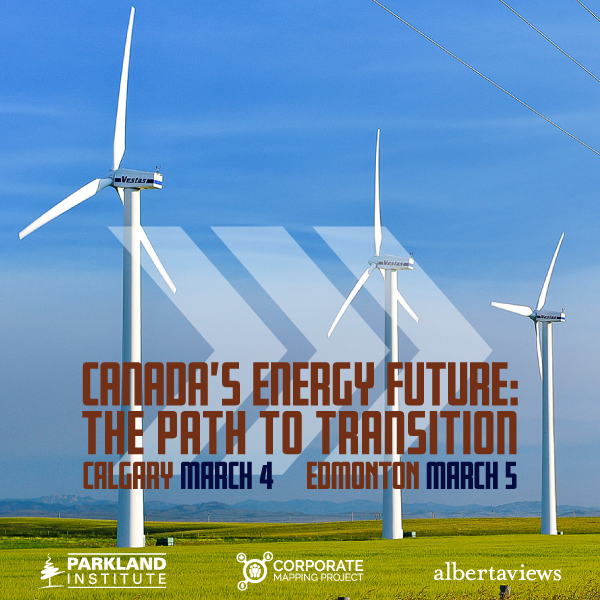 No path from oilsands expansion to lower emissions and Canada’s climate targets. NDP policy locks AB into fossil fuel development and rising emissions for decades. Neither the NDP nor the UCP will take Alberta where we need to go. Alberta’s “tiny carbon tax” was clearly informed, or at least inspired, by classic behaviour change psychology: change one thing at a time, in small achievable steps about which one has a high level of self-efficacy, and work slowly towards a longer-term goal in gradually accumulating increments. Perhaps environmental absolutists like Mr Pounder think this approach inadequate—and perhaps, in a sense, it is—but as someone once said, politics is the art of the possible. I invite Mr Pounder, and his fellow environmental absolutists, to enlighten us poor ignorant mortals, what course of action could have been taken by the current Alberta government that had a snowball’s chance in Hell of grudging acceptance by Alberta voters. If not the Notley-led NDP, and certainly not Mr Kenney’s UCP, then who? What political party in Alberta would pass muster as sufficiently pure in its aggressiveness towards the province’s fossil fuel industry? As for “social licence”, there was only a slim hope that the pipeline would have been accepted by the people of the Lower Mainland through which it inevitably would have to run to reach “tidewater”. But without the Alberta NDP’s balanced approach to climate action, that hope would have been completely absent. The “damn the torpedoes” approach of the previous government, which is also that advocated by the UCP, certainly made no progress whatever. The fact that, at the end of the day, the Notley government’s approach didn’t work either, is largely because there is no force on Earth that would make the residents of metro Vancouver and the Island accept this pipeline, full stop. From their perspective, the only evidence they need that the approval process is flawed would be any regulatory answer other than “never”. So, what will happen now, is that Mr Pounder et. al. will see “good” defeated by “awful” at the polls next Spring, because “good” could never be “perfect”. All the other good public policies that have been brought in by the Notley government will be rapidly reversed by Mr Kenney in his first 100 days as Premier. I hope he’s happy with this outcome. I know the rest of us won’t be. Well put, Jerry. In the same way you can’t stop a stampede you have to slowly change its direction, we need to evolve away from our use of fossil fuels. Sadly the ‘shut everything down immediately’ chanters just give fuel to the ‘make no change at all’ right wing commentators. On the social license front, look how RW commentators have said social license didn’t happen. I would argue that it did, but the fact that it didn’t convince everybody left some people at protest camps for the RW commentators to point to as proof of social license failure. It is too bad we have no way of seeing the people that social license did convince. Actually I suppose we will see them when they re-emerge if Kenney is elected and starts pandering to his base. Straw man argument. Who said shut down the oilsands overnight? Not I, certainly. The idea is to stop oilsands EXPANSION. In conjunction with efforts to reduce demand. No “turning off the taps” overnight. A managed decline. Starting today. Start going in the right direction. No more expansion. Stop digging ourselves into a hole. Start reducing emissions today. Reasonable people, including Ms. Berman, understand that change doesn’t happen overnight. In the transition period, fossil fuel use declines as renewables take their place, wherever possible. To reduce overall energy demand and waste, infrastructure, urban design, and consumer habits must change. Start by putting a real price on pollution. But that shift must start now, not decades from now. Doubling down on fossil fuels takes us in the wrong direction. Building more fossil fuel infrastructure in the face of climate change is insane. Oilsands expansion only makes sense if the world fails to take real action on climate change. Trudeau and Notley are betting that the world will fail. Again, AB’s drive for fossil fuel growth is irrevocable. Oilsands infrastructure, including pipelines, takes decades to recoup its costs. There is no redemption. No going back. No path from oilsands expansion to lower emissions and Canada’s climate targets. NDP policy locks AB into fossil fuel development and rising emissions for decades. The science supports Berman’s position on climate change, not the NDP’s. Climate change is a global emergency. We need to start acting like it. Geoffrey, thank you for clarifying your position. Stopping expansion of the oil sands and working to phase out hydrocarbons is a sensible policy. Some of your other posts have left me with the impression you were advocating immediate shutdown of the energy industry. Jerrymacgp premises his arguments on the assumption that Notley’s crew has a chance of re-election in 2019. I reckon the opposite. Even though a NDP win in 2019 isn’t on the menu, long-time NDP supporters, progressives, and greens do have a crucial decision to make. The NDP has no hope of re-election in 2019 against a united conservative party. Selling out to the oil industry will avail them nothing. “Conservatives” who did not vote NDP in 2015 won’t vote NDP in 2019 even if Notley built a billion pipelines. Notley was always a one-term premier. Her mandate was to stand up to Big Oil, reject petro-politics, respect science, take real leadership on climate change, put AB on the right track for a sustainable future, and show Albertans what principled, progressive, rational, scientifically literate govt looks like. Notley’s cynical miscalculation will cost her the support of NDP voters appalled by her policies and tactics. But it won’t cost her the election. The NDP don’t have a chance. For long-time NDP supporters, the issue is whether to endorse or repudiate Notley’s version of the NDP – and demand better from a future NDP under different leadership. Fortunately, the world does not end in 2019. Look down the road. Progressives’ next chance comes in 2023. In 2019, progressives can either endorse Notley’s rewrite of progressive values or repudiate it. If you endorse it, don’t expect better in future. Reject Notley’s/Big Oil’s agenda, send Notley packing — and demand true progressive, scientifically literate, environmentally enlightened leadership. A slogan, not an argument. Politics is also the art of the realistic, which excludes a second term for Notley’s NDP. Of course, it was entirely possible for Notley & Co. to set a higher carbon tax; raise royalties; take climate change science seriously; report emissions accurately; lay out a vision for a sustainable Alberta; lay down the law to the oil industry; establish a hard cap on oilsands emissions at current levels; stay out of pipeline battles; launch an independent health inquiry for Fort Chip; protect caribou, etc. The NDP had nothing to lose by taking bold steps to protect present and future generations. Serving the public interest. The NDP had nothing to gain by pushing pipelines. Serving the interests of industry. Good plan if you have realistic hopes for more than one term in office. Otherwise, you have to plan and execute your agenda within the one term given to you. Notley has shown herself fully capable of giant leaps and bold action — when it comes to pushing pipelines. Jerrymacgp assumes that Notley’s climate change rhetoric is genuine. Her actions and rhetoric (v above) belie that assumption. No one who understands the perils of climate change trades carbon taxes for pipelines. Notley & Co. are deep in denial. Nice snarl word. To whom is Jerrymacgp referring? People who have the temerity to take climate science seriously? People who care about the world they are leaving to their grandchildren? Scientific reality is non-negotiable. Either you accept the science and respond accordingly, or you don’t. Notley and Kenney do not. Which places both of them in the denialist camp. Is reducing emissions to avoid catastrophe “absolutist”? Is living up to our int’l agreements and meeting our emissions targets “absolutist”? Are climate scientists “environmental absolutists”? They deal with the empirical evidence and hard facts of our present reality. Forgive me if I follow them and not our reckless Premier and her Big Oil cartel. The NDP won in 2015 on a mandate that included climate leadership and giving Albertans a “fair share” on royalties. Not building export pipelines. The NDP platform prevailed over a divided conservative party. Against a united conservative party, no course of action gives the NDP a snowball’s chance of a second term. The NDP had nothing to lose by honoring their mandate and taking bold action on climate. How does the NDP reconcile new export pipelines and oilsands expansion with climate action and reducing emissions? Hopelessly contradictory. Even if only half the projected climate change impacts come to pass and at half the projected rate, future generations will judge pipeline opponents to be in the right. Those who promoted fossil fuel expansion in the face of climate change will be branded as reckless and immoral, if not criminal. Jerrymacgp wrote: “good” defeated by “awful” at the polls next Spring, because “good” could never be “perfect”. Climate change is not one issue of many. It is the issue of our time. The environment underlies all we do, the economy, and life itself. Political parties who ignore scientific reality do not deserve the votes of responsible citizens. If anything, Notley is worse for climate than Kenney, because NDP policy eliminates the progressive option and all hope for real climate action in AB. Playing on her undeserved credibility on climate, Notley is far more likely to get pipelines built. Kenney will be impotent and isolated. Again, Trudeau and Notley are peddling an insidious, and far more dangerous, form of denialism. Happiness has nothing to do with it. Just being realistic. I accept the inevitable — unless you can come up with enough votes for the NDP to overcome a united conservative party. I can’t. No one remembers the good works of the the captain and crew of the Titanic. Change of government and policies is a constant through history. That has never stopped principled leaders from charting new courses. That has never prevented governments from taking bold steps. The limits of office and the ephemerality of power should not stop politicians from respecting science, facing reality, and forestalling disaster. After some initial confusion and disorientation, the Federal Conservatives seemed to have figured out the part of their partisan role as opposition which is to be loudly against anything the Federal Liberals do. Those axe the tax rallies are a prime example. However, the part of being an opposition that involves presenting credible alternative ideas seems to be totally missing under Scheer and Kenney. What is their climate action plan? How will they stop climate change? As far as I can tell all they say on that topic is incomprehensible drivel and platitudes. Climate change involves difficult issues and tough choices which I am sure some would prefer to continue to put off and avoid, but that strategy does not make things better, only worse. A lack of a clear plan results in a party not ready to govern so you get something like the chaotic mess of Doug Ford’s government in Ontario, if the opposition happens to win. It is unfortunate the more thoughful Manning has been surplanted by Ford and Kenney on the issue of climate change. As Manning probably realizes the short term political popularity of having no credible plan is a recipe for both long term political and social disaster. Sweden has a carbon tax of $150 per tonne and at that level it is having some effect on peoples use of carbon producing emissions, but $10 or $50 won’t do anything except take our money into government hands. We have to get serious about the environment we are rapidly making into a living hell. We are not likely in danger of major hurricanes and the resulting floods they produce, but when our farmers and ranchers can’t grow crops because of major droughts, we will have to get used to not eating bread or steak or bacon. Possibly then we will get serious about climate change. I don’t support a carbon tax because it is at best an indirect way or reducing carbon emissions. A much more direct method would be to require car manufacturers to make changes to cars so they could get much higher mileage from a gallon of gas and to restrict gas guzzling vehicles to only those who transport loads of goods. that won’t be popular with all those whose family vehicle is a 4 X 4 truck that rarely hauls anything other than people. WWII governments in both Canada and the US rationed gasoline to the extent that many put their cars up on blocks for the duration. Now, the danger from climate change is not as obvious as the war danger was so rationing isn’t likely to be put into effect until it is too obvious and too late to turn around.